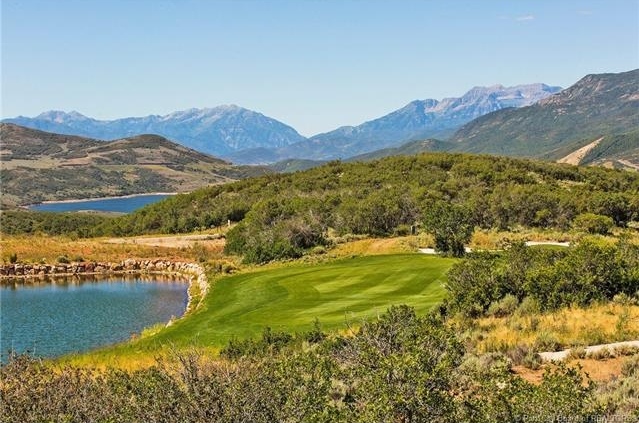 This is a must see homesite for anyone seriously wanting to build their “dream” Park City area vacation or primary home. A spectacular view lot sitting just above the 7th fairway of Hideout Canyon’s Outlaw Challenge Course. Enjoy panoramic mountain, golf course, Deer Valley Ski Resort, as well as a Reflection pond views. Build the home of your dreams on the 0.41 acre homesite. Every fun thing to do right here at your finger tips such as restaurants, entertainment, shops, 3 Park City area ski resorts, hiking, biking, fishing, and boating on the Jordanelle. Conveniently located next to the Park City and Deer Valley area.